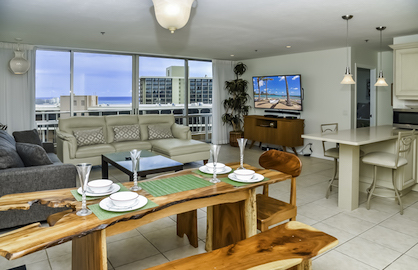 This is the famous Ilikai 3 bedroom Penthouse unit where Jack Lord stood on the huge 490sf lanai and the helicopter zoomed in on him in the opening scene of the original Hawaii 5-0 TV show. 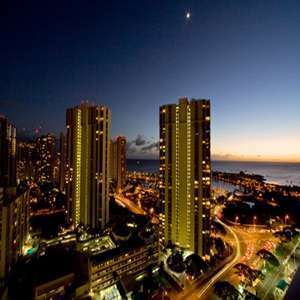 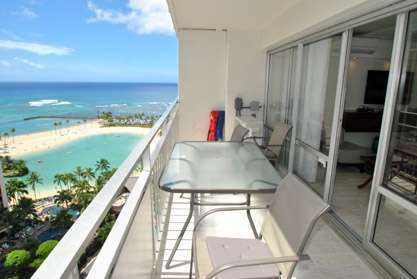 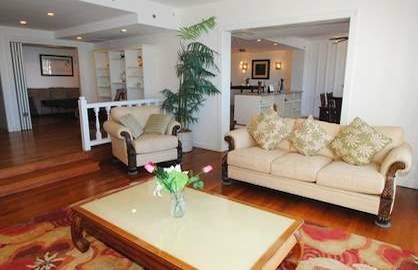 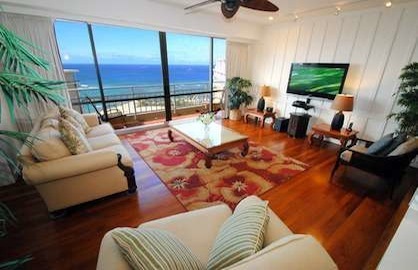 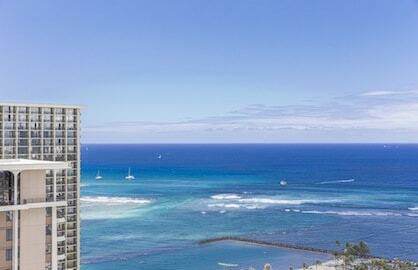 This remarkable and famous three bedroom, 2 bathroom Ilikai condo penthouse is the most iconic condo in Waikiki. 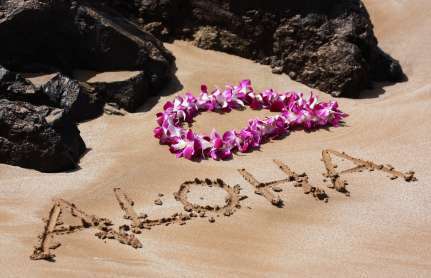 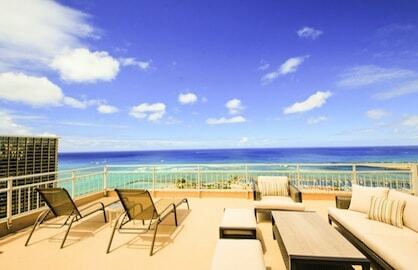 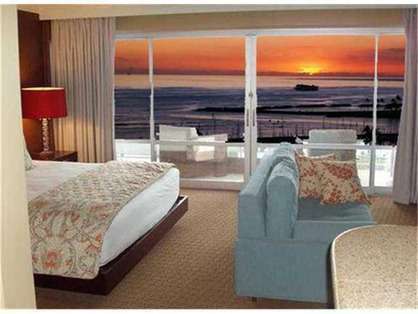 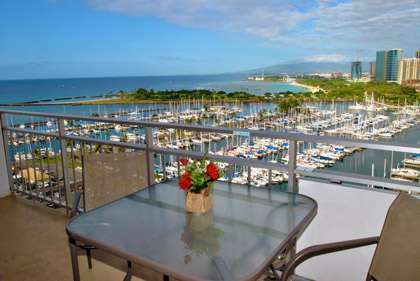 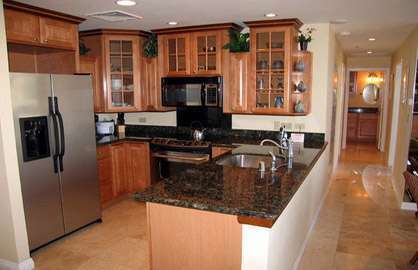 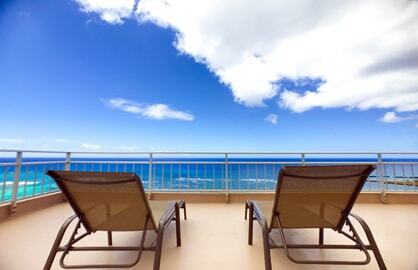 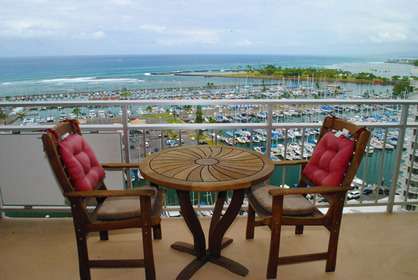 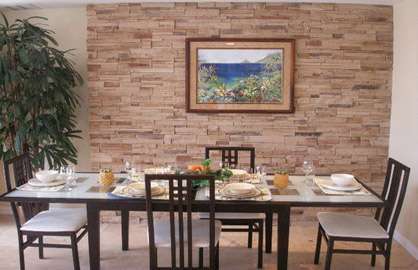 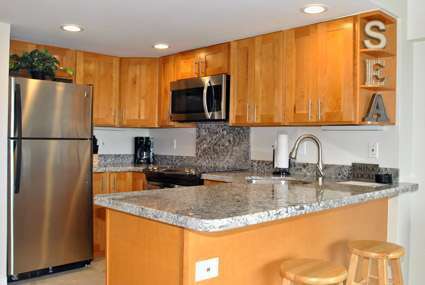 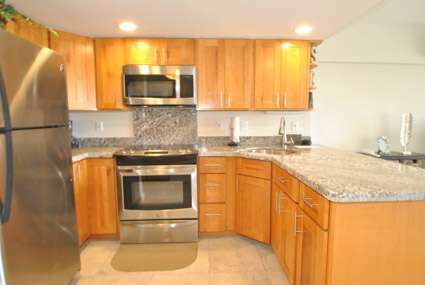 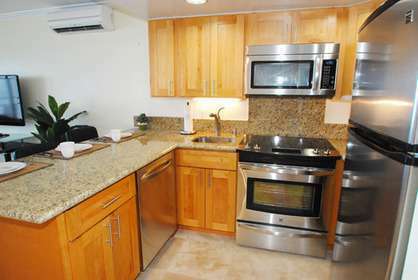 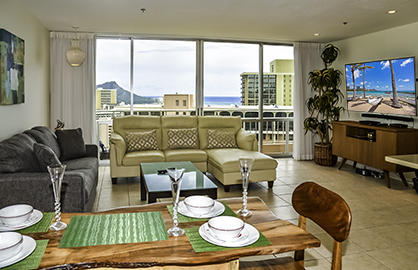 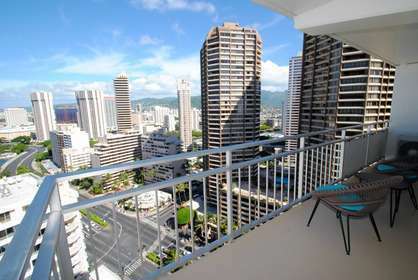 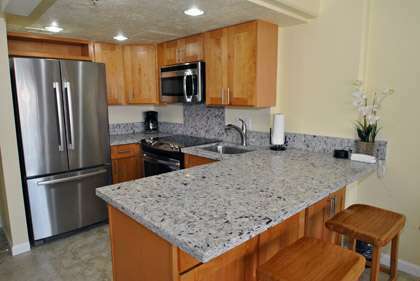 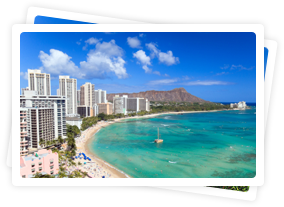 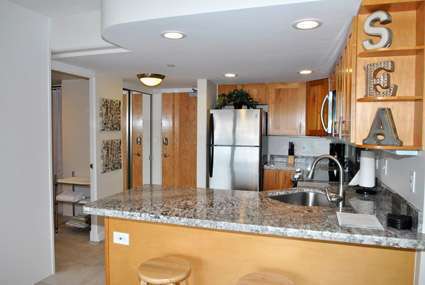 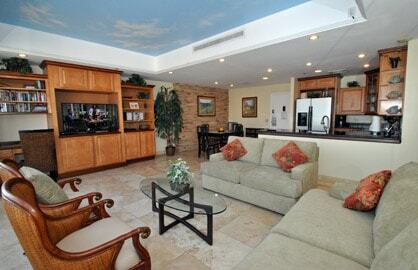 This is an awesome Ilikai 2 bedroom penthouse with ocean and Diamond Head views. 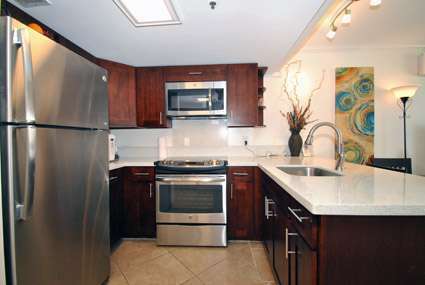 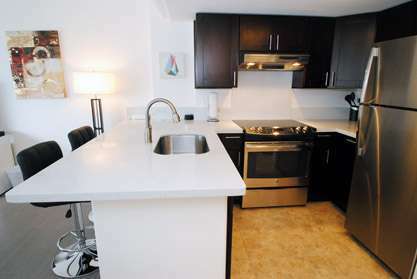 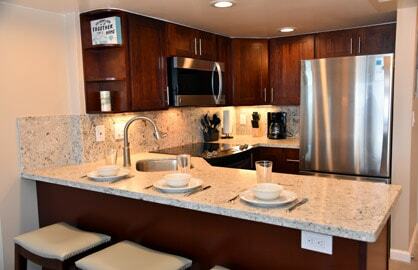 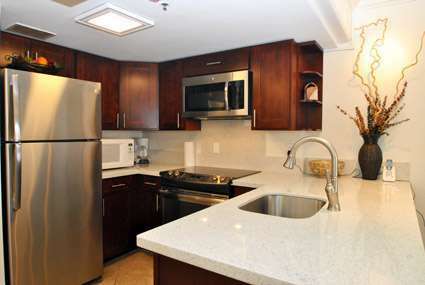 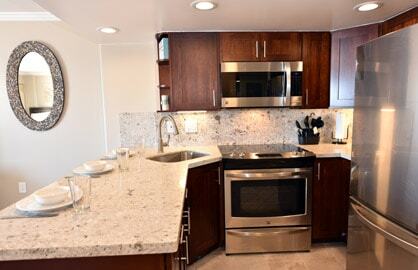 With penthouses having in-suite washer and dryers, these units are a favorite among visitors with children. 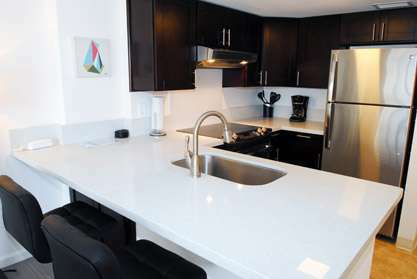 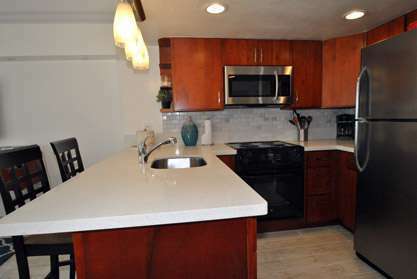 This unit has just completed a remodel (November 2018) that includes all new modern tile floors throughout the whole condo, all new modern elegant master & guest bathrooms both with walk-in showers, three new whisper quiet split modern Mitsubishi AC systems for all rooms so keeping the condo nice and cool is a breeze. 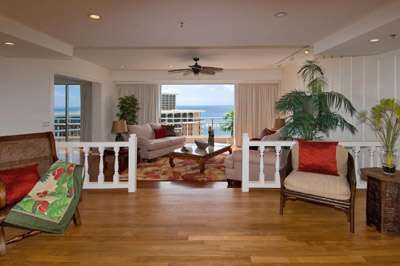 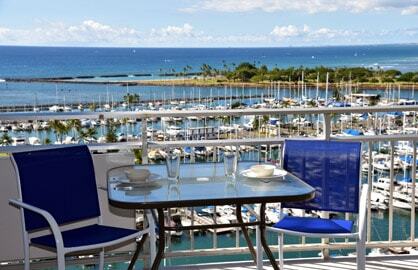 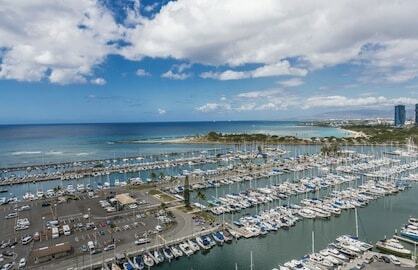 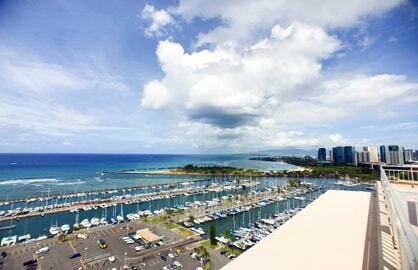 Incredible 2 bedroom Ilikai Penthouse 2607. 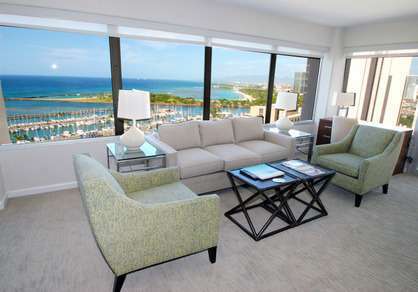 The Sky Penthouse is an amazing 2 million dollar luxury executive penthouse located on the oceanfront of Waikiki. 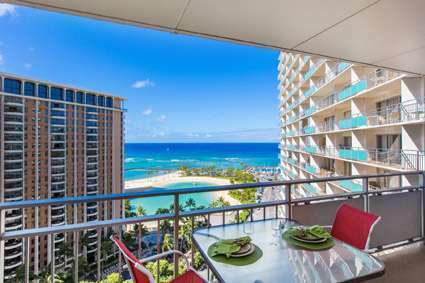 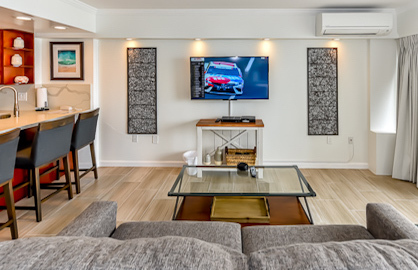 This unit has been totally, and we mean totally, remodeled from the bare studs up to create a sophisticated, elegant yet tropical retreat that is unsurpassed in Waikiki. 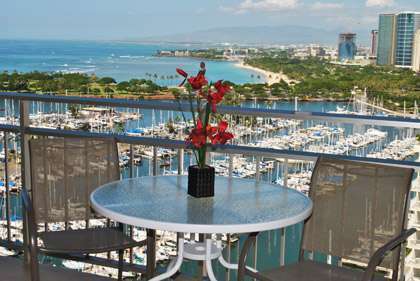 This incredible 4 million dollar+, 2600sf Waikiki direct ocean front spacious Ilikai Penthouse 2603 is a one of a kind home that is a 5 star for any guest who expects only the very best. 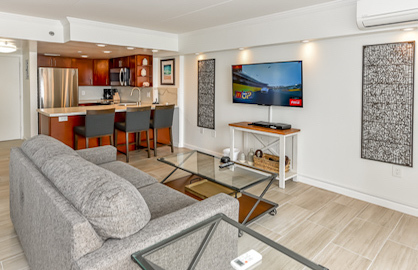 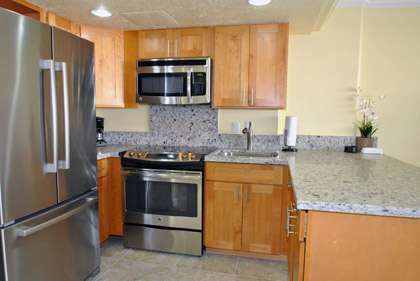 Hard wood floors, tasteful tropical furnishings, huge gourmet kitchen, wine fridge, separate dining area with sweeping ocean views makes this unit a winner in anyone's mind. 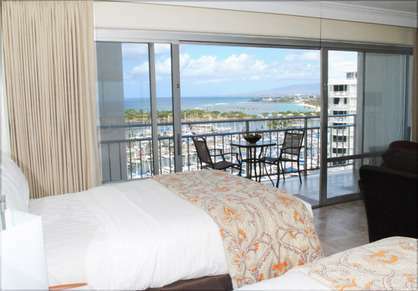 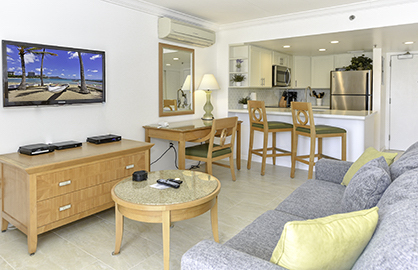 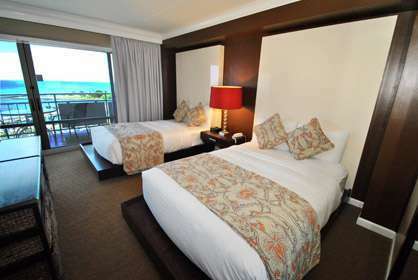 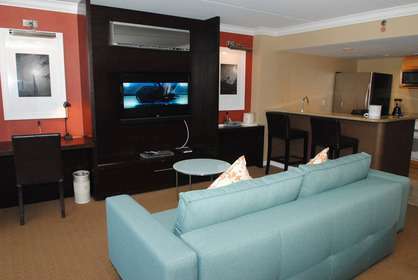 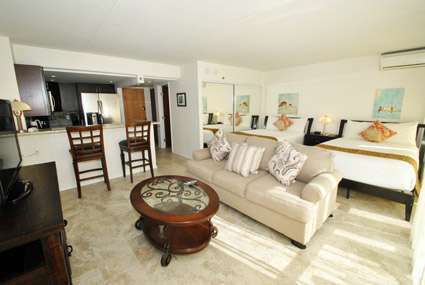 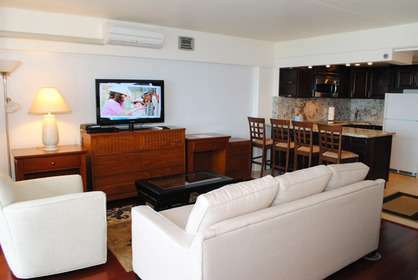 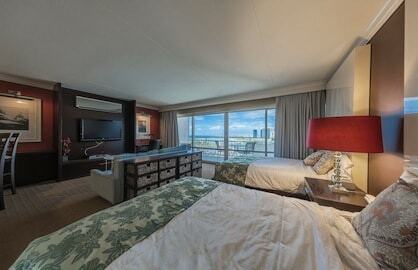 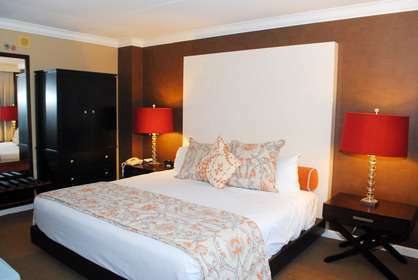 Are you ready to be pampered in a luxury Ilikai 2-bedroom suite with daily cleaning and linen service? 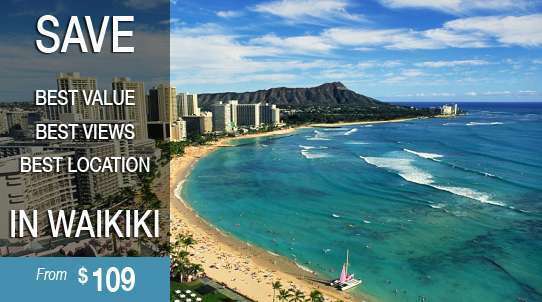 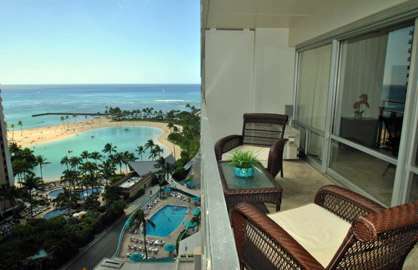 This fantastic highly sought after 2 bedrooms, 2 baths, high floor ocean view condo is one of the newest designed and remodeled units at the Ilikai. 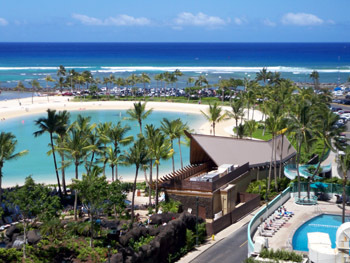 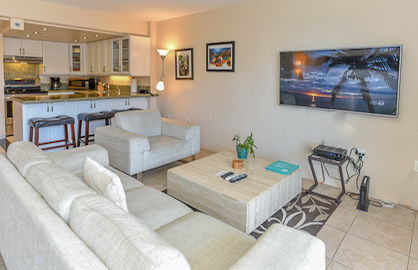 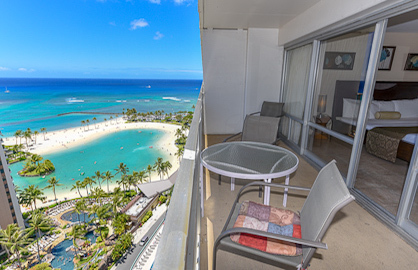 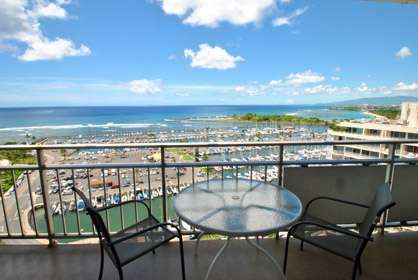 This great position unit on the lagoon side offers views that will delight all, great beach, ocean, surfer views, prefect for the Friday night fireworks show and you can watch the Hilton Luau Show next door from your lanai and save over $100 a person. 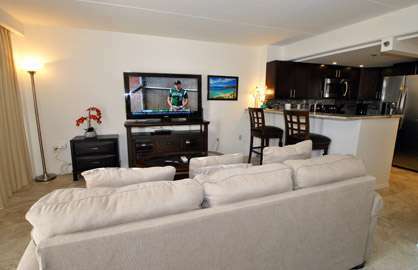 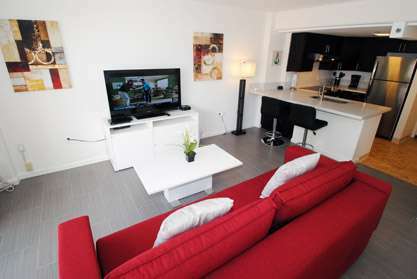 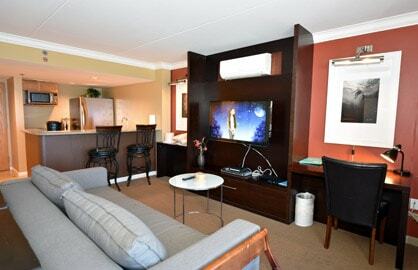 This unit also includes free calls to USA & Canada and wifi internet and has cable TV. 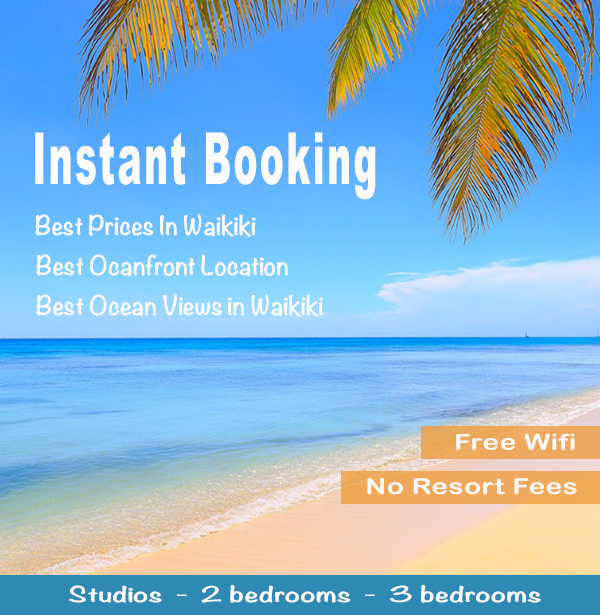 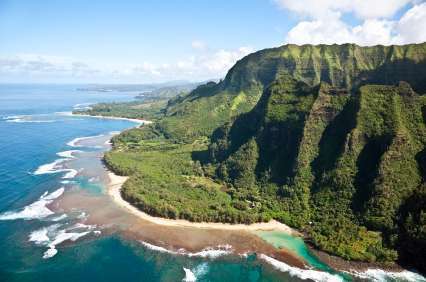 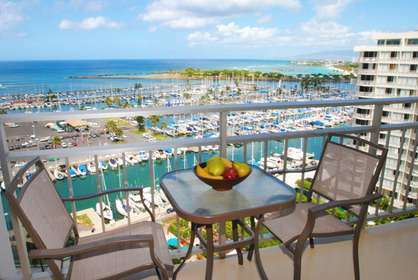 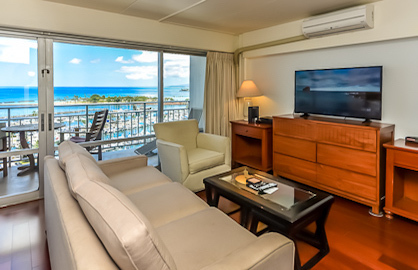 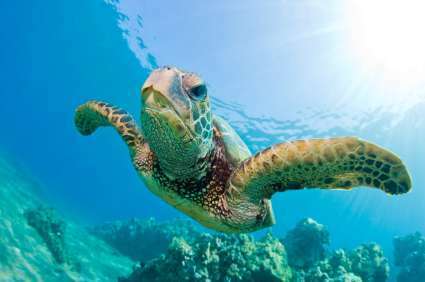 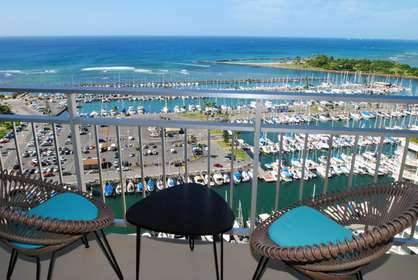 This great modern large studio (legally 1 bedroom in Oahu) condo has some of the best Lagoon Ocean views at the Ilikai with state of the art whisper quiet split AC system and modern high quality sheer or black out curtains for that afternoon nap and privacy. 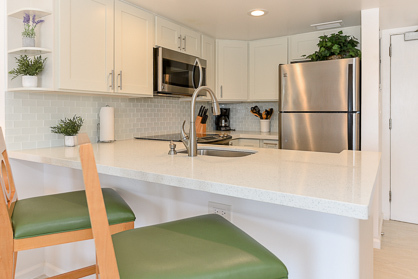 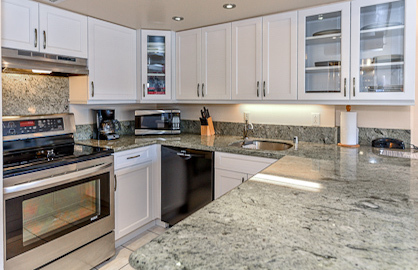 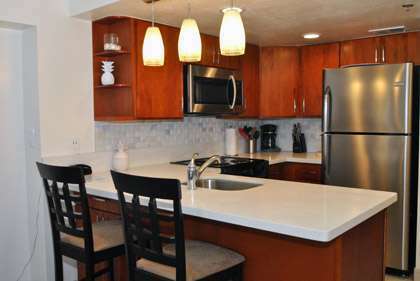 The condo has a brand new (2019) full modern kitchen with stainless steel appliances, all new bright tile flooring throughout and a spacious living area with a double sleeper sofa with memory foam mattress.